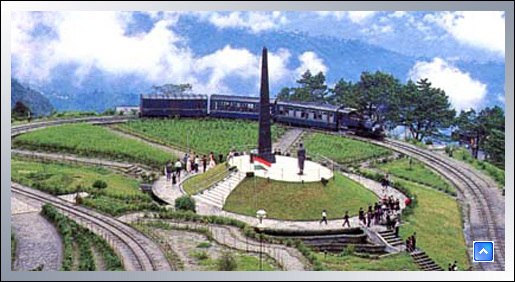 Darjeeling Includes the following important destinations. Darjeeling town (elevation 2,134 m) is located on a spur with houses hugging the hillside. Deer park a water reservoir, all set amidst moss-laden conifers and Chimney, a serene, open meadow. Mirik (elevation 1,765 m approx) is another tiny hill resort easily accessible from Siliguri, Kurseong or Darjeeling. The centerpiece of the town is the Sumendu lake where boating under the serene gaze of Kanchenjunga makes for a most relaxing pastime. Tameeta Danda and Deosi Danda are two elevated points near the lake from where the view all around is terrific.